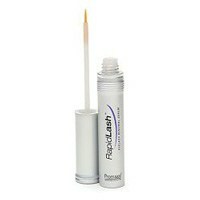 Promotes spectacular long lashes and full eyebrows naturally. This safe and proven formula will help to improve the appearance of your eyelashes and eyebrows in length, fullness, thickness and darkness in only four to eight weeks. 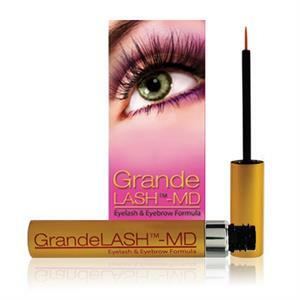 Directions-After cleansing your face apply GrandeLASH™-MD like a liquid eyeliner on your upper lashes before bed. Apply product to eyebrows in thinning areas as well. Ingredients:Hydrolyzed Glycosaminoglycans, Sodium Hyaluronate, Panthenol, Vitis Vinifera (Grape) Seed Extract, Hydroxyethylcellulose, Panax Ginseng Root Extract, Yeast Extract, Chamomilla Recutita (Matricaria) Flower Extract, Arcyostaphylos UVA Ursi (Bearberry) Leaf Extract, Magnesium Ascorbyl Phosphate, Tocopheryl Acetate, Prostaglandin I.C.